The Trail Smoke Eaters are in the North Okanagan for Game #5 of their best-of-seven Interior Division Semi Final against the Vernon Vipers on Friday night at Kal Tire Place with the series tied at 2-2. The Smoke Eaters fell in Game #4 of the series to the Vipers on Wednesday night by a 3-2 score at the Trail Memorial Centre to even the series at 2-2. Owen Ozar and Carter Jones gave the Smoke Eaters a 2-0 first period lead before the Vipers came back and scored three goals to earn the win. Donovan Buskey stopped 23 of the 26 shots he faced in the game in his 3rd loss of the postseason. Heading on the road hasn’t been an issue for the Smoke Eaters over the course of the playoffs as Trail has won each of their last four games away from home. The Smoke Eaters have outscored their opposition by a 17-9 margin in those games including wins in Game #1 and Game #2 of this series in Vernon. Trail bolsters a 4-1 overall record in the playoffs including scoring the most goals when away from home with 19 in those 5 games. The hot stretch of play continued for Smoke Eaters forward Carter Jones, who tallied his third-straight multi-point game and extended his point streak to five games with a goal and assist effort in Game #4. The Bemidji State University commit has registered 4 goals and 5 assists for 9 points during that five-game stretch while also scoring goals in each of his last four games. 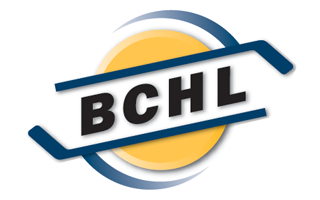 The Hillyard, Washington native sits tied for 6th in scoring in the BC Hockey League with his 11 points. Owen Ozar opened the scoring in Game #4 and has found his offensive stride with a three-game point streak and points in four of his last five games. The Prince Albert, Saskatchewan native has 2 goals and 3 assists for 5 points in those three contests and scored a big goal the last time the Smoke Eaters were in Vernon as he tallied the overtime winner in Game #2. The Vernon Vipers were able to even up the best-of-seven Interior Division Semi Final series at 2-2 after the 3-2 victory in Game #4. Jagger Williamson and Trey Taylor got the Vipers in a tie after a 2-0 first period deficit before Jack Judson score the game winner in the final minutes of the game. Aidan Porter turned aside 24 of the 26 shots he faced in his 6th win of the playoffs. One of the driving forces behind a pair of road victories for the Vipers was captain Jagger Williamson as he scored a big first period goal that kicked the Vernon comeback into gear. The five-year veteran has points in three-straight games with a goal and four assists for five points in that span. The Vernon, BC native has points in four of his last five games and sits tied for 3rd in the league in assists with 9. Vernon has been able to generate offence from the blue line and Jack Judson has been able to create a lot from the backend with points in each of his last three games. The Arizona State University commit scored the game winning tally in Game #4 plus adding 5 assists for 6 points over his last 3 games and is tied for second in scoring amongst defensemen with his 8 points. The Vipers penalty kill continues to go well through the playoffs, especially when playing on home ice. Vernon has gone 12-for-14 in the postseason at Kal Tire Place, dating back to the opening round set against the Salmon Arm Silverbacks. The Vipers have gone a perfect 9-for-9 in the series on the PK against the Smoke Eaters and have not allowed a power play goal against in each of their last four games at home. The Smoke Eaters and Vipers will drop the puck on Game #5 of their best-of-seven Interior Division Semi Final at 7:00 PM from Kal Tire Place. 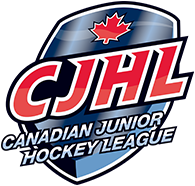 The game will be broadcasted with a FREE audio stream at mixlr.com/trail-smoke-eaters as well on pay-per-view at HockeyTV.com beginning at 6:45 PM with the Teck Trail Operations Pre-Game Report with Voice of the Smoke Eaters, Trevor Miller.